Parents, due to essential emergency boiler repairs we will have to close the Nursery on Monday 1st April. We apologise for any inconvenience. 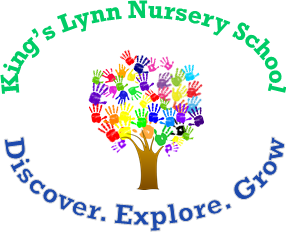 Kings Lynn Nursery School is situated in ‘The Walks’ the largest park in Kings Lynn. It was originally built in the 1940’s to serve as a Nursery for working mothers during wartime. 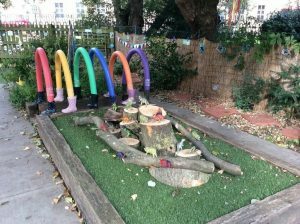 Since that time the nursery school has gone from strength to strength, helping literally thousands of young children learn and develop in the most enjoyable ways possible! We currently run 10 sessions a week (term time only), 5 in the morning and 5 in the afternoon. We also run a lunch time session. We have 40 full time equivalent places in our ‘Butterfly’ class for 3 and 4 year olds and 12 full time equivalent places in our ‘Caterpillars class’ for 2 year olds. Parents can choose morning, afternoon, or a mix of sessions. They can also choose to take their entitled provision over full days. We are happy offer 30 hour provision where parents are eligible. Parents have the option to purchase additional sessions including lunchtime sessions. We have a semi flexible start and finish to support parents going to work and those parents taking and collecting siblings from local schools. Why not call us and drop in if you are interested in visiting and finding out more about what we do. Please be aware as a school we follow Norfolk county councils admission policy. Please see out attendance policy for details.